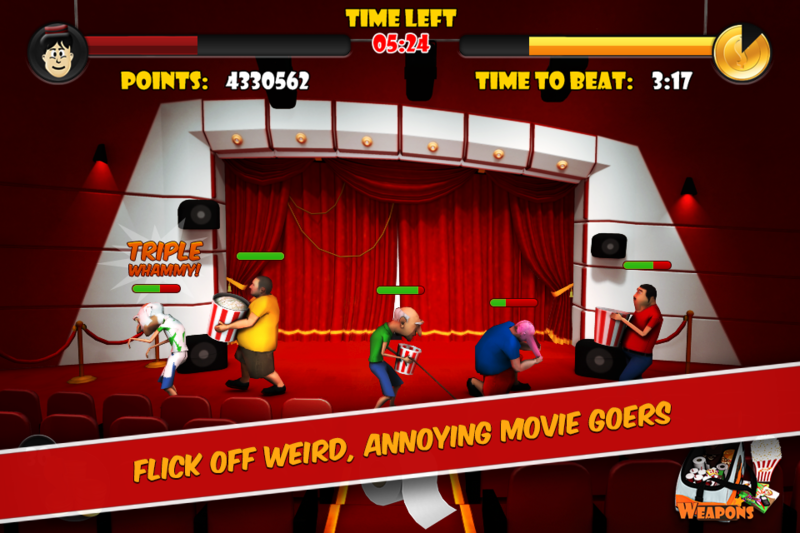 Dream Bot Studios is happy to announce Flicked Off At The Movies. 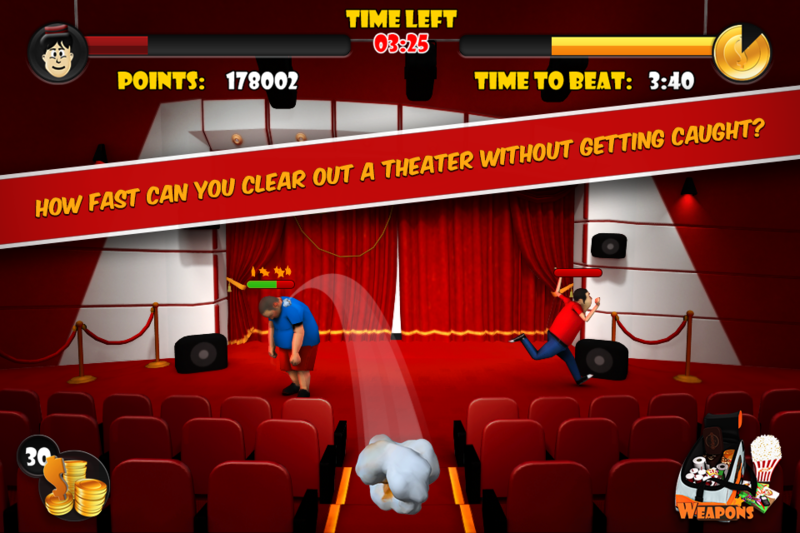 A crazy and hilarious mobile game where you are in the back of the theater and you are flicking items at movie goers. You mission if you choose to accept it… it to clear out the theater as fast as possible so they call in the Usher. 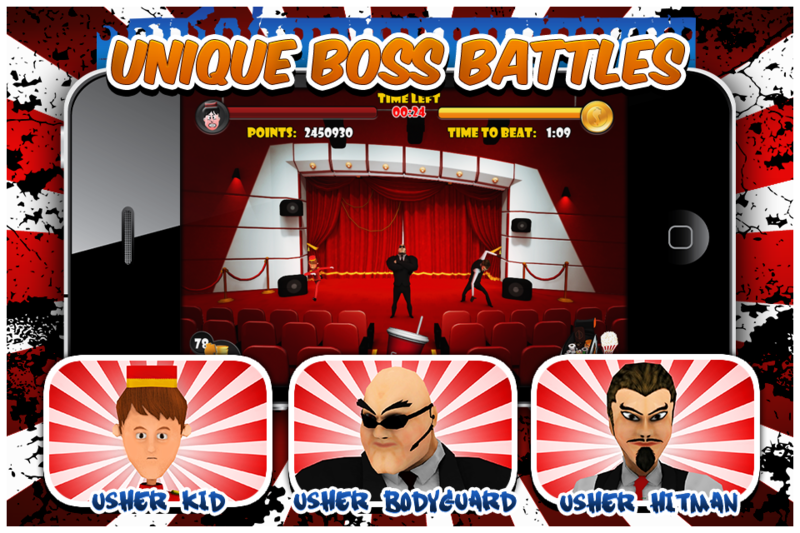 Then you will battle multiple Usher boss characters and rank yourself among players around the world. You have a set time… each boss you beat you get 2:00 minutes back on the clock and you move yourself up to the next level. 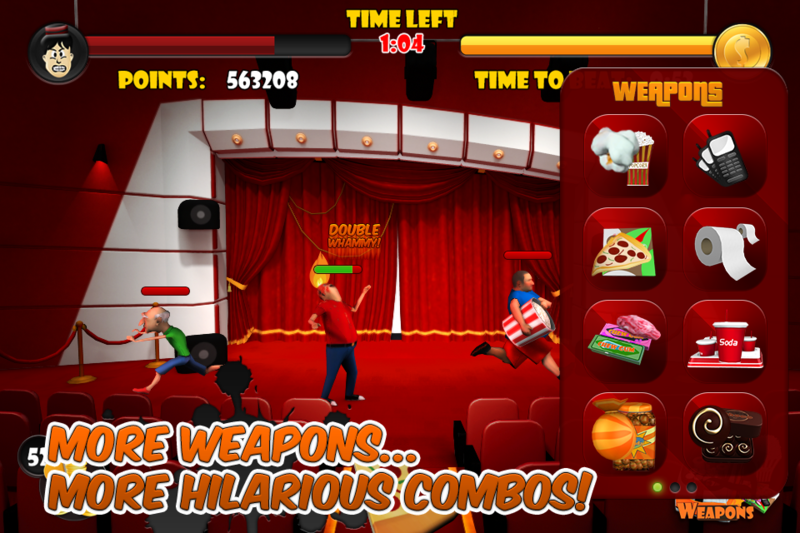 Check out the hilarious combos and strategies you can pull together with your arsenal of weapons. Enjoy and please give us a decent review on the app store.